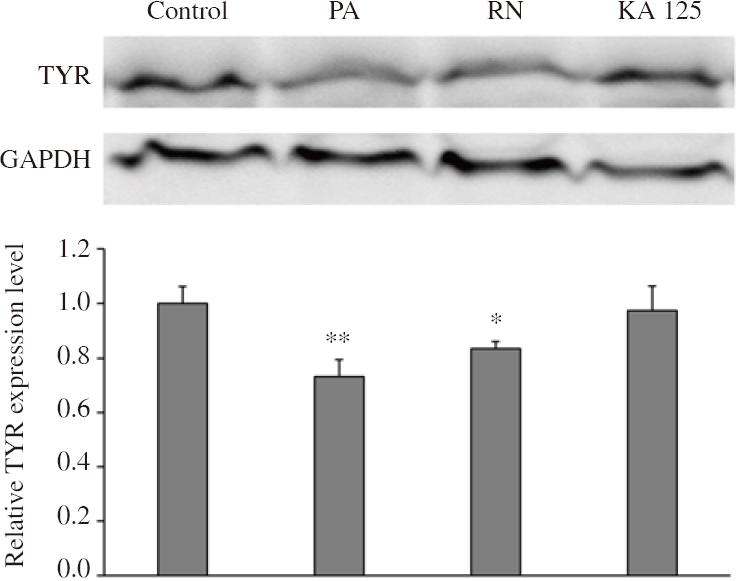 Figure 5: Effects of PA and RN extracts on the expression of tyrosinase protein in the reconstitutive skin model. Data are the mean±SEM from three independent experiments. *P<0.05, **P<0.01 compared with control without extract treatment. KA 125: kojic acid at 125 μg/mL.